Music icon Loretta Lynn will celebrate her birthday this April with a once-in-a-lifetime music event. On the heels of one of the most deeply personal albums of her career, Wouldn’t It Be Great (Legacy Recordings/Sony Music Entertainment), the 2019 GRAMMY nominee celebrates this year’s birthday being honored by her friends. Alan Jackson, Brandy Clark, Darius Rucker, Garth Brooks, George Strait, Jack White, Kacey Musgraves, Keith Urban, Little Big Town, Margo Price, Martina McBride, Miranda Lambert, Pistol Annies and Trisha Yearwood are among the first guests announced for “Loretta Lynn: An All-Star Birthday Celebration Concert” on Monday, April 1 at Nashville’s Bridgestone Arena, produced by AEG Presents. Acclaimed music producer Dave Cobb will serve as musical director for the evening of celebration and song. Net proceeds from ticket sales benefit the Opry Trust Fund and the Country Music Hall of Fame and Museum. Garth Brooks was on hand at the press conference to surprise Lynn with a birthday cake to kick-off the celebration. In describing Lynn’s immense contribution to American music, Brooks said, “She’s the queen of Country music, there’s not a level she hasn’t crushed, no matter how big this party is, it ain’t gonna be big enough! This is going to be an honor and a blast!! 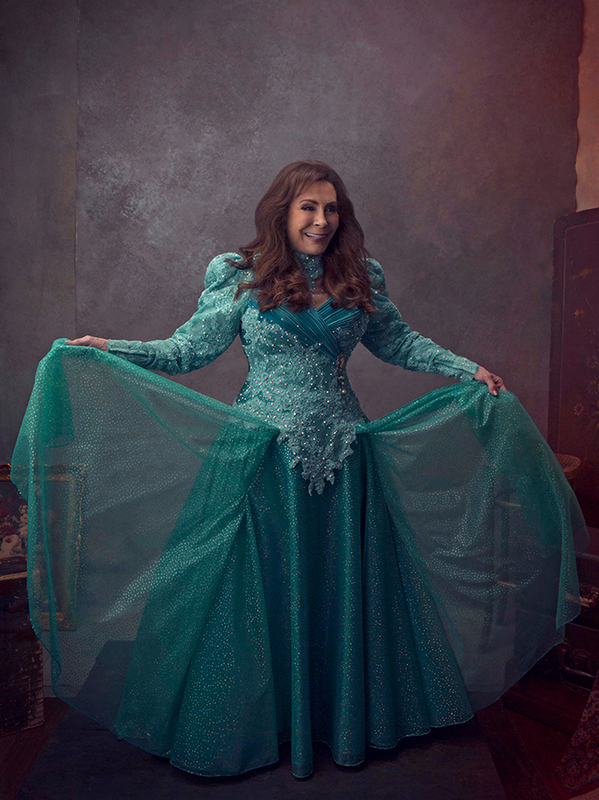 Loretta Lynn has long been established as the undisputed Queen of Country Music, with more than 50 years of recording and touring to her name. A self-taught guitarist and songwriter, Lynn was one of the most distinctive performers in Nashville in the 1960s and 1970s. She shook up Nashville by writing her own songs, many of which tackled boundary-pushing topics drawn from her own life experiences as a wife and mother. “Coal Miner’s Daughter,” “Fist City” and “Don’t Come Home A’ Drinkin’ (With Lovin’ on Your Mind)” are just three of her 16 country No. 1 singles. Lynn is also one of the most awarded musicians of all time. She has been inducted into more music Halls of Fame than any female recording artist, including The Country Music Hall of Fame and the Songwriters Hall of Fame, and was the first woman to be named the Country Music Association’s Entertainer of the Year in 1972. Lynn received Kennedy Center Honors in 2003 and a Presidential Medal of Freedom in 2013. In 2015, she was named recipient of Billboard’s inaugural Women in Music “Legend” Award. Lynn has won four GRAMMY Awards (including a GRAMMY Lifetime Achievement Award in 2010) and sold more than 45 million records worldwide.